← Couples who Sweat Together, Stay Together: How true is this? Being a parent is a dynamic process because in each phase the responsibility, the role, the ideology and the methodologies change. But people get baffled, and some get too serious about parenting especially the term positive parenting bothers the humanity with unlimited questions. And everyone gets agile to discover the underlying meaning and the modality of positive parenting. And what you will discover in this article would be a little different from your ideas of positive parenting or whatever you might have read about that concept per se. In fact, it will be a revelation; read through. First things first; let’s understand what parenting is? In simple terms; parenting is all about supporting your children at every step and believe it that does not require a professional degree or any guidance; in fact, it is natural to every living being on the earth. Have you ever seen any animal taking a special course in positive parenting? Of course not, then why do you get so agitated over the fact? And it does not mean you should not learn the ways of parenting but all you need to do is just keep things simple and understand yourself. Should you ask what my self-knowledge has to do with the parenting? Remember that you operate from a psychological background that has been conditioned and influenced by various experiences and whatever you think as the best parenting method might fall short or inadequate because apparently you operate from knowledge and knowledge is limited. Yes, it is because knowledge is past and shaping future with a tool that has the roots in the past will only create a modified past, not the future. Therefore, the first thing you need to do is to observe your kid without judgment, understand his/her tendencies because without understanding whatever you do would only breed conflict. In an attempt to instill value and ethics parents tend to go overboard by imposing ideologies, code of the conducts and various rules that can only worsen the situation because all ideas are limitations and imposition can bring out the rebel out of the adults. All you have to do is to project a united front that means both parents must discuss and evaluate their individual parenting skills and align each other’s idiosyncrasies and beliefs to create coherence whole as a family where everyone maintains their individuality by creating dialogues around the individual views. Apparently, only a healthy family can produce responsible humans and it depends on the parent’s emotional intelligence. Apparently, the human is sensitive, and you have to remain alert to develop a healthy relationship because a gesture and word can trigger negative emotion in your kid’s mind. So, it is imperative that you deal with your inner voice and conflicts yourself rather than venting it out or imposing them on your kid. You have to understand that parenting is neither administering your kid nor educating them in a particular direction; in fact, it is a learning process for both the children and the parents alike. Remember, life is a constant flux from known to the unknown and you have to live every moment and learn each step, there should not be an objective or state of perfection as far as your child’s growth is concerned because perfection is an idea, not a reality and life can never attain the state of perfection and as soon as it achieves perfection, it becomes stagnant and does not grow further. Note; perfection is an idea and an imaginary state that hinders the development; so, never expect perfection out of your kid, let them smile, play, sing, love, dance, participate in internal dialogue, get naughty sometimes; in brief, let them flow. Never try to confine life to an ideology. And it does not mean that you become careless; in fact, it needs extreme mindfulness to confront the agility and varied aspects of life. Always remain aware of your own emotional state and let your kids understand their behavior through mindfulness. And it is not difficult to learn the art of awareness; forget about all the meditations, transcendental nonsense or other jazz people preach and promote; the simplest way of developing awareness is to observe your own thoughts and actions without bias or trying to change them. And as you go on observing your habits and actions you would understand yourself clearly. And a mind that has clarity can deal with human emotionality fluently and efficiently. People will give you ideas on parenting skills but that is the most idiotic way of learning to parent from other people’s experience because predefined commandments prevent the proliferation of intelligence. Apparently, intelligence has nothing to with knowledge. In fact, intelligence flourishes with freedom; so care to give freedom to your children but remain aware of their behaviorism and actions. And whenever you find something unpleasant or risky, point it out nicely and communicate calmly. Eventually, life is all about love; therefore, express love and avoid being pushy or demanding. 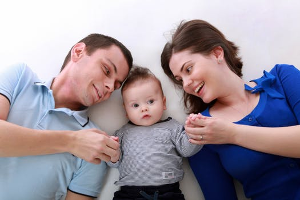 Ultimately, positive parenting as a concept might look like a glorified idea, but it poses serious threats because parents tend to showcase their skills rather than developing their children’s cognitive abilities and sociability. You must understand that you as a human influence your kid’s behavior irrespective of what you teach them or whatever you impose on them per se. If you look closely, then you would find out that human mind gets conditioned with the environmental influences, beliefs, ideas that govern your everyday life. Hence, learn to behave properly. Your ideas of good behavior do not make sense as long as you do not practice it in real life. You might go on being authoritative or soft or tolerant and in each of the cases your stance functions only as an ideology without having any real substance. So, develop yourself before you want to parent your children. Ultimately, positive parenting is not about what you do; in fact, it boils down to who you are as a person and a human. Be human, be loving, and you do not need to learn positive parenting skills; it will come naturally to you. This entry was posted in Parenting and tagged best pregnancy pillow, body pillow for pregnancy, body pillow pregnancy, parenting, Pregnancy body pillow, pregnancy pillow reviews. Bookmark the permalink.